We really love Abode and think of it as a stylish tardis: its entrance is very unassuming, partially hidden by various commercial clutter. However, on entering you will find yourself in a tranquil haven of beautiful, somewhat quirky design and luxurious accommodation. It is a gem of hotel in a great south Mumbai location in the heart of Colaba, a 5 minute walk from the Gateway of India and numerous bars and restaurants on Colaba Causeway. 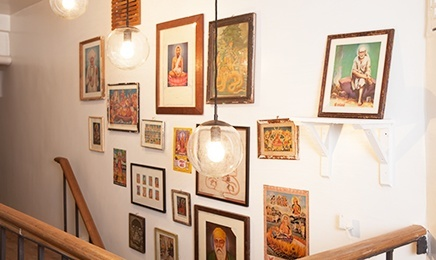 If you prefer boutique, quirky style, this is our pick of places to stay in Mumbai. 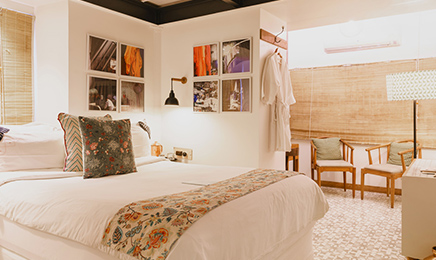 Tucked down a side street just off Colaba Causeway, Abode is a boutique hotel that combines modern comforts with traditional heritage. It is located in a heritage property built in 1910. The hotel’s wooden and iron facade has been fully restored and the lobby features an original 19th Century chandelier. The floors are laid with hand-made cement tiles by a Mumbai tile maker, using a 100 year old technique. 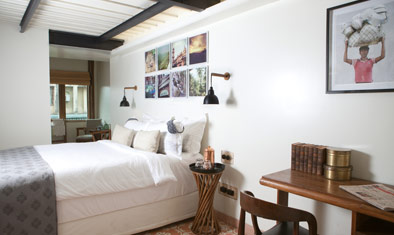 20th Century colonial and art deco pieces have been sourced from Bombay’s second hand markets and lovingly restored for the hotel. 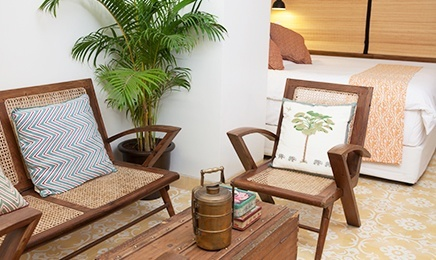 Custom-built furniture designed specifically for Abode includes bedside tables made from chaat stands and library shelving inspired by Bombay roadside bookstores. Reclaimed Burma teak, salvaged from demolished houses has been used as flooring. 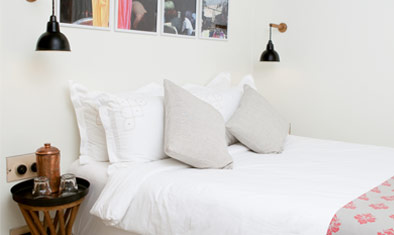 Bedroom light fittings have been created using hand-thrown ceramic lampshades, turned hardwood lamp holders and neon. Fabrics used for soft furnishings have been sourced from vintage saris, local markets or handwoven by the charitable organization WomenWeave. 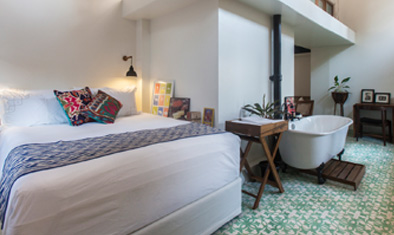 20 elegantly appointed rooms feature this carefully restored vintage furniture, original artworks, sumptuous bedding and the latest entertainment technology. 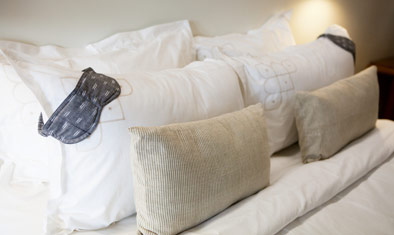 Rooms are in four categories, Basic, Simple, Luxury and Superior Luxury. Each room is different, reflecting the heritage nature of the building. 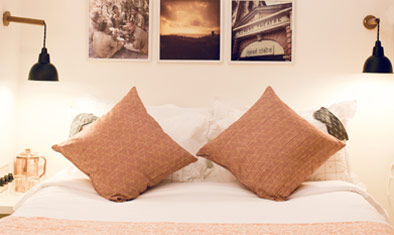 However, we recommend either the Luxury or Superior Luxury Rooms which are more spacious. 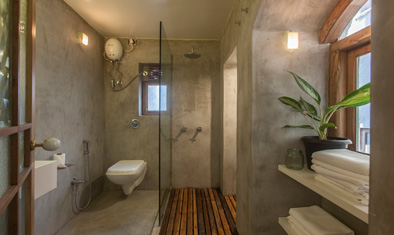 Basic rooms have shared toilet facilities but have an ensuite shower. The Abode lobby and library is a beautiful all-day café and working area. Work, relax, meet friends and browse through the collection of carefully selected books from India and abroad in the library. A sumptuous breakfast is served till midday: freshly baked breads, homemade yogurt, eggs to order, fresh seasonal fruits & juices and two hot Indian dishes of the day. A light café menu is offered in the lobby or in the peace of your room. It features snacks and sandwiches inspired by Bombay's gymkhana club teas and street snacks such as chilli cheese toast and masala grilled sandwiches. 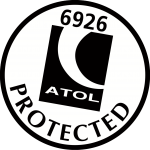 A dedicated spa room is also available offering a range of treatments. Abode also works with a Mumbai-based school for the blind that trains fantastic massage therapists. Complimentary 24-hour, unlimited high speed WiFi is provided for all guests.